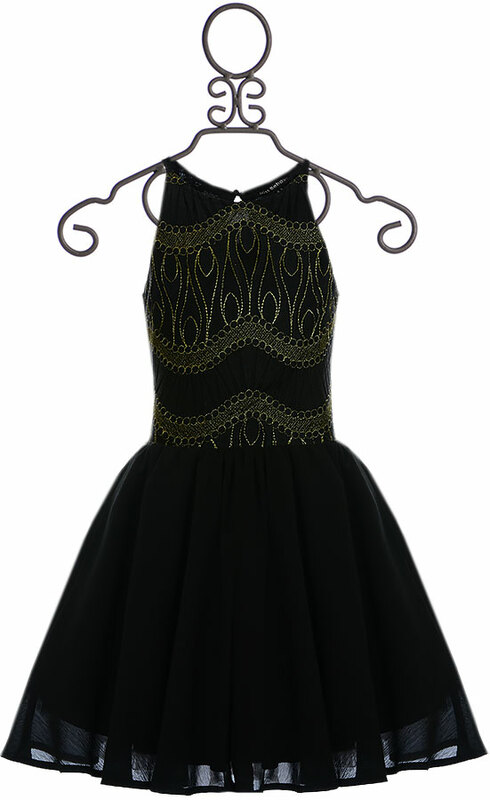 $78 - Filled with the sense of old world glamour, this tween party dress is a new arrival from Miss Behave. The bodice begins with a high, gathered neckline. The long slit on the back features a bow tied at the top and a decorative metallic zipper running to the waist. The bodice is completely dressed in a golden design, stitched with a metallic shimmer. The skirt opens in shape and features a solid, jet black chiffon overlay. Hand Wash Cold, Line Dry.